Happy Monday, friends! 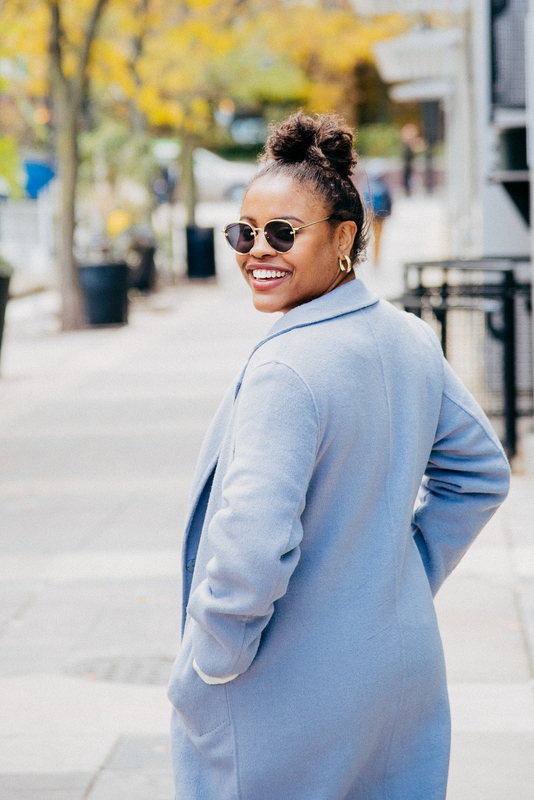 This past week was a crazy one, and it doesn’t appear that this next week will be slowing down anytime soon either… I’m thinking next weekend will be all about self-care and relaxation. With that said, if you follow me on Instagram, you know that I’ve been on a non-toxic skincare journey which has been the ULTIMATE struggle. About three or four months ago I started reading about how the beauty and skincare industries are not well-regulated at all, and that companies can basically put whatever chemicals they want into products. I was stunned to find out my absolute favorite Mario Badescu cleanser had some carcinogenic chemicals in it, and did not want to give it up at all. However, I think what you put on your body is just as important as what you put in it, so I’ve been committed to doing an overhaul of my products. While there are products that I will continue to use, I think making small efforts at a time will result in bigger and better changes. When I first started out, I had no idea what I was getting myself into and just how difficult it would be to find truly clean products that not only worked well for my skin, but that didn’t break the bank either. If this is something you’re interested in doing, I will say that it takes a lot of research and perseverance. The research is important because I can’t even begin to count the amount of times I’ve been misled by something claiming to be organic (which I now know means absolutely nothing, along with the term “natural”) only for it to be bad – so you must do your due diligence. The perseverance comes into play because it will likely take your body a long time to get used to the new products, especially if it’s built up a tolerance to the other chemicals. The deodorant issue has been the worst part for me… I’ve gone through two different ones in two months and I still haven’t found one that worked like my old deodorant! However, there are a handful of affordable non-toxic skincare products that I’ve liked so far, and wanted to share them with you. Let’s dive in! 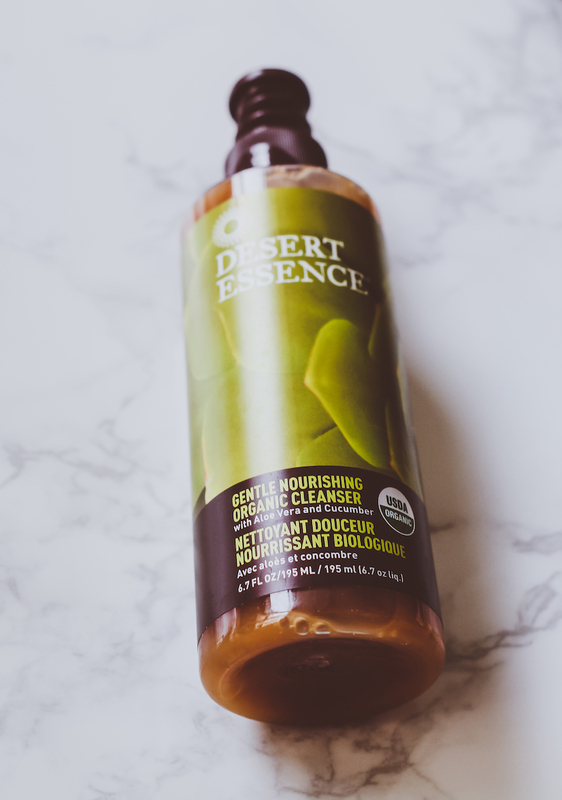 I received this Desert Essence Gentle Nourishing Organic Cleanser last week, and I’m really loving it so far! I was using the Acure Organics Brilliantly Brightening Cleansing Gel for a couple of months, and it was just not working for me (I do love the Acure Organics Brightening Day Cream, however). Although my skin tends to be oily, I struggle with keeping it moisturized. This cleanser contains aloe vera and chamomile which is great for those with sensitive and dry skin. I love that my face feels soft and smooth after each wash, and I don’t feel as if it’s stripping my skin of its natural oils! Another great thing is that a little goes a long way, so this bottle will certainly last for months on end. 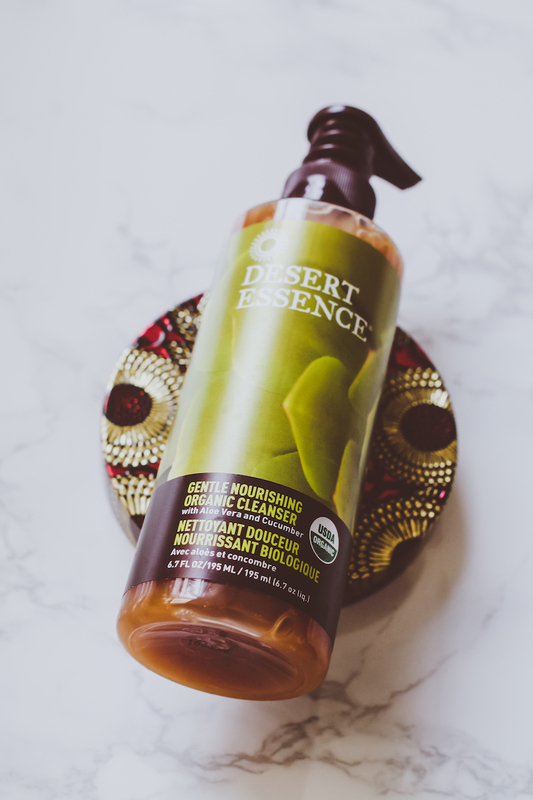 In fact, I’ve purchased several other Desert Essence products including the Tropical Breeze deodorant (although it isn’t perfect, it’s worked better for me than Tom’s) and the Jojoba Oil for my scalp. 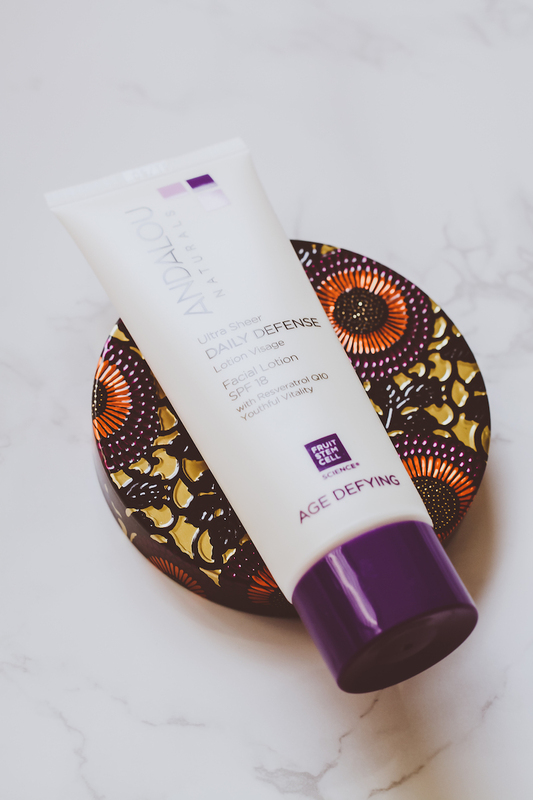 I was so relieved to pick up this Andalou Naturals Ultra Sheer Daily Defense Facial Lotion at Whole Foods the other day! I had been using and absolutely loved Vanicream (which isn’t horrible, but not great either), and had been basically making my own moisturizer which was not working well haha! I really like this because it has more of a cream consistency at first, and then smooths out upon application. Not only does it have a nice citrusy smell, but it has a bit of sun protection and anti-aging properties. For less than $15, that’s a pretty good combo if you ask me! I first started using Argan Oil when I received a sample of the Josie Maran Argan Oil (which is amazing by the way!) and knew I needed to incorporate it into my skincare routine. While the Josie Maran oil is fabulous, the $48 price point is not so much. 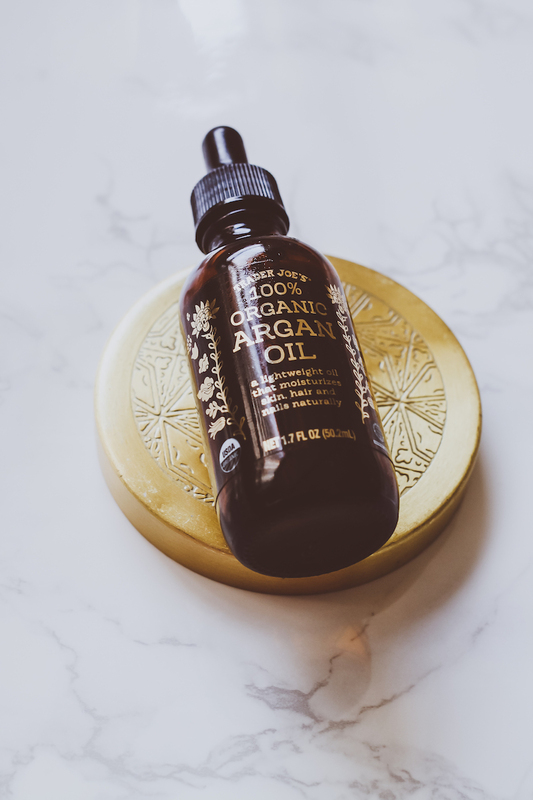 This argan oil can be purchased at Trader Joes for less than $10 and works just the same. Argan oil contains lots of antioxidants, vitamins and other nutrients that are perfect for nourishing and protecting the skin from sun damage. I love this one because although it’s an oil, it soaks into your skin very fast and is not greasy at all! It can also double as a moisturizer for your hair. A couple of weeks ago I mentioned on Instagram stories that I had heard so many great things about the Weleda Skin Food, and that I was going to test it out as a face moisturizer. Let me tell you, one use and I quickly realized the error in my ways. While it’s not meant for facial use, it’s actually amazing for dry skin in other places! I love it for arms and legs, and especially for my hands. I’ve had to use hand cream year-round in Chicago, so it’s nice that I’ll be able to swap out my Gold Bond for something that’s clean. I personally love thick creams, so if you’re into that I would definitely recommend it! Plus, it’s only $12! 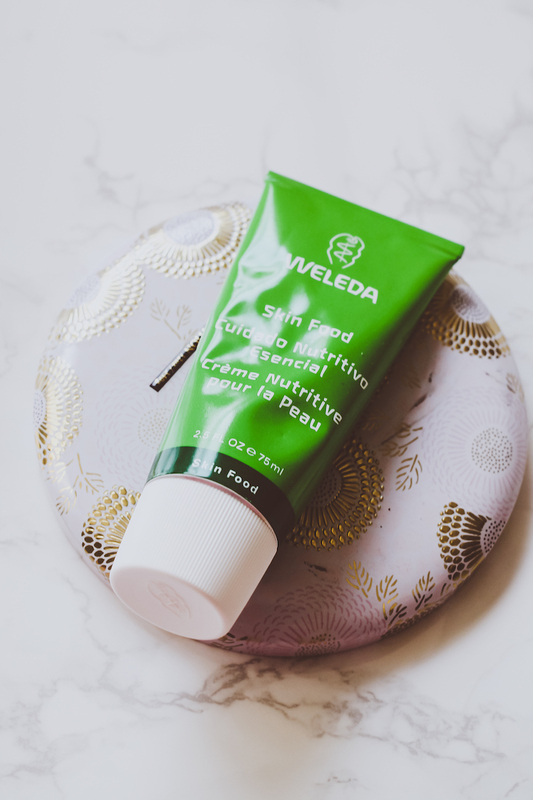 The Weleda brand has been around for so many years, and I’m definitely going to test out some of their other products such as the Night Cream. What are some of your favorite affordable non-toxic skincare products? I always wonder why the hell anyone would pay so much for the Josie Maran argan oil when you can get it for so much less from TJ’s! That’s where I buy mine, too; I put it on every night before bed, & my skin has never been better. I couldn’t agree more! I loveee the Josie product, but the TJ version is just as good and way more affordable!